Traveling solo is a great option as you can enjoy your independence and you can freely roam around whenever and wherever you like without any kind of pressure. But sometimes this solo traveling can turn out to be really bad due to some really silly and awkward Solo Travel Situations that one can face on his/her solo trip. On a solo trip, you get to meet new people and sometimes even make new friends with whom you can roam around and have chatting sessions as well. Solo traveling is basically traveling on your own individual terms and conditions and you can change your plans whenever you like without any kind of stress because you are totally alone on the trip. So, there is no one to snub you or to ask you as to why do you change your plan the very last minute. Though there are quite a lot of advantages when a person travels alone, but there are some disadvantages as well which you should be aware of before you plan a solo trip. You should do proper and detailed research of the place which you are visiting alone and should also take along the required essentials which you think you will not be able to find there. But sometimes, even if we go prepared, we are caught in some really awkward situations where we are unable to find any kind of solution which will help us to escape that difficult situation. So, here we are providing you a list of awkward situations that a person traveling alone may face and how to cope up with these awkward Solo Travel Situations. Do check them out. This one is actually a very bad and awkward Solo Travel Situations when you are on a solo trip and you need to go to the chemist shop to buy some medicine but the pharmacist actually gives you some other medicine instead of the original one, all due to communication gap and lack of understanding. When you are not able to explain as to what type of medicine you require actually require actually lands you in a really embarrassing situation. The best solution to this problem is to always take along a phrase book with you or instead carry your own personal medical supplies so that you don’t need to go to the pharmacist and in turn, you do not get into an awkward situation where you start feeling embarrassed and pissed off. This thing mostly happens in countries where the local language is not English. Generally when one travels alone, the best source for transportation or to go from one place to the other is hiring a taxi which is quite convenient and easy to avail as well as compared to other local transport. But the problem arises when you hire a taxi and the driver do not understand English as he only speaks the local language of that area due to which you are unable to explain the destination you need to reach at that particular point of time. This can result in a really horrifying situation where one can even get lost somewhere else where you are unable to find the right location. Then, ultimately you need to take help from the local police which is again a hustle. To avoid such a situation, one should always carry a map of the city in which he/she is traveling and apart from that one should always carry an emergency phone of a local friend to whom one can call when stuck in such an awkward situation. Getting confused at the railway station is a quite a common problem among the tourists who travel alone. Generally, solo travelers land themselves in an awkward Solo Travel Situations when either they buy a wrong ticket and reach an unknown place where there is no place to escape or they get into a wrong train which also lands them in a similar situation. When you end up in a totally unknown city all alone, you feel upset and embarrassed. So, the best solution to this problem is always thinking before you do something, especially when you are traveling alone and you have less knowledge of the city which is totally new to you. If the ticket counter people do not understand your language, give him in writing your name of the destination and the departure timings. This another common situation that people generally face when they travel alone in a totally different city where the local language is not English and you land yourself in a mess by ordering the wrong food which you cannot eat. This happens when you are not aware of the local cuisines of the city and you randomly order something by just finding the dish name attractive and cool but you do not know that you have actually ordered a dish you cannot eat, especially if you are a vegan. At such an awkward situation, you can neither throw the food because you are in a restaurant nor you can return the dish to the hotel people. The best solution is to always write down on a piece of paper and convey it to the chef that you are a vegan otherwise you are left with no other option but to try the dish. When you travel solo to a totally different place where you do not know anybody, you got to beware of the strangers out there. Sometimes, what happens is that you meet a stranger and find him quite kind and helpful and you start chit chatting with him, but you do not know when this stranger will ditch you and can even take away your valuables and other things because of his bad intentions. This may actually land you in a really bad situation where you do not have any other option than to contact the local police which in turn will make your trip turn into a bad experience and you would never want to visit that place again in your life. You should always be assertive and should always have a good presence of mind and whenever you smell something fishy, immediately back out of the situation and maintain distance from the stranger. 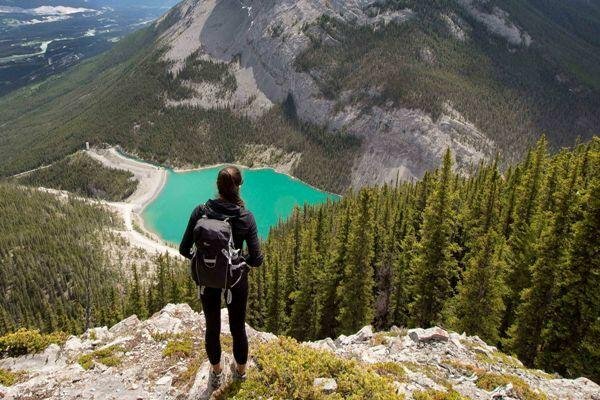 We always are of the view that solo traveling is the best option to enjoy a perfect getaway where you have your own rules and there is nobody to interfere or question your decisions, but sometimes traveling alone can turn out to be really bad and awkward especially if you are traveling to a remote destination. A person will actually realize the importance of a companion when he will find himself totally alone in a remote and deserted area and there is nobody there with whom you can talk with. This missing situation generally occurs when you are traveling barefoot and you have crossed miles but still haven’t found anyone to talk to. This Solo Travel Situations can turn out to be an emotional breakdown for you where you actually start missing your loved ones. If you are caught in such a situation, try to divert your mind and enjoy the current situation or immediately make a video call to your loved ones which can give you some sort of relief. If you love travelling alone but on the other hand you love socializing as well, then you might find yourself in an awkward situation if you land in a restaurant and sit on a table for 8 all alone and there is nobody to talk to and you also have no other way to entertain yourself except for eating your ordered food and watching other people giggling and feeling jealous of them. At that point of time, you realize that must have had a company on your trip because solo traveling is actually not working for you. The only solution is as already told that you can either concentrate on your food or start chit chatting with the hotel staff or even with the people dining out there. If you are a solo traveler and that too woman and you are traveling in a country where the customs and the culture out there are quite different from yours, then you will surely land up in an awkward or totally silly Solo Travel Situations. The awkward situation arises when you are an unmarried woman and has crossed the 30 age group which is generally the age bar for women in certain countries to get married and plus you are travelling all alone, then the local people out there will look at you quite weirdly as they think that you should have got married at this point in time and should look after your children and home instead of travelling to various countries. The best solution is to avoid these stupid remarks and don’t let them effect as you are just a tourist out there and every country have a different culture which you cannot change. This one is actually a big problem faced by the solo women travelers because this thing can actually become quite serious which in turn can make their lives hell. Generally, when women travel alone to different countries, they are stalked by guys who first start off with the eve teasing process and then gradually start stalking and even harassing the women ultimately making their life hell. These people should actually understand that they are your country’s guests and they should not do such cheap things which in turn can badly affect their country’s tourism business. To avoid such Solo Travel Situations, women travelers should always have with the country’s women helpline number on which they can call whenever in need. Apart from that women should always keep in their bags a pepper spray or a small knife which they can use to protect themselves from such stalkers. This is another Solo Travel Situations in which the solo travelers get stuck in and there is no way to escape out of the stupid situation. This generally happens when you have a different skin color or hair color and you don’t know their local language as well. Due to this the country people sometimes start making fun of you and make you feel really embarrassed. If you are travelling with your family or friends, then such problems don’t affect you but if you are all alone on the trip and you have not even made a local friend out there, then this thing will definitely affect you quite badly and can even lead to the problem of inferiority complex which will remain in your head all your lifetime and you will never ever feel to travel anywhere alone. The solution to this problem is to either avoid or ignore such stupid remarks or make them realize that everybody is equal which quite a difficult task. When you travel alone, you generally feel that you will that you don’t require a company because you can enjoy the most when you are alone, but somewhere down the head you do miss your partner for sure and you are not able to share this feeling of missing with anyone because you are all alone. Though a solo trip is the most enjoyable but at some point of time, you actually realize that your partner should have been there with you on the trip and that you could have enjoyed more on the trip with your soul mate. So, basically, the feelings are mixed. So, at this point in time, you can either make a call to your partner and tell him/her that you missing him/her or just simply let go of the feeling. This is actually quite a Solo Travel Situations when all the other people in your group are traveling with their partners and you are the odd one out who is traveling all alone. At this point of time, you actually start feeling jealous of the couples around you and also miss your soul mate as well. So, in order to avoid it, you better change your attitude if you want to enjoy your trip. So, these are the 12 totally awkward Solo Travel Situations that people face.